Jack Leroy Yount, 98, of Surprise, AZ passed away April 7, 2017. 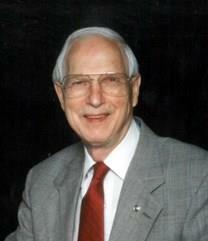 Jack was born September 23, 1918 in Oklahoma City, Oklahoma to Edgar and Mary Yount. He lived in Oklahoma until relocating to Charlotte, NC. Throughout his life he found his love for nature and landscape in locations where he visited and lived. He especially loved to share his memories of living near or visiting various mountain ranges, oceans and desert landscapes. Arizona is the special place that he enjoyed living for the remainder of his life with his wife, children and friends. Jack’s church memberships included First Baptist Church of Del City, First Baptist Church of Oklahoma City and First Baptist Church of Charlotte, NC. 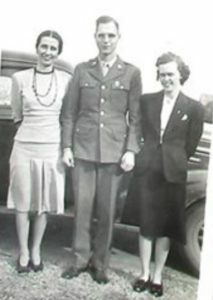 Jack proudly entered the United States Army on October 16, 1940. He was part of the 99th Division, Battery « C », 371st F.A. During his service, he was stationed across the country: Fort Sill, Oklahoma, San Louis Obispo, California, Fort Ord, California, Camp Van Dorn, Mississippi, Camp Maxey, Texas, and in Europe: France, Belgium and Germany. 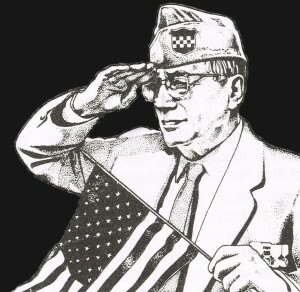 During his WWII service, he received 3 Bronze Battle Stars (Rhineland, Ardennes and Central Europe). After returning from war, he began his lifelong career in retail management. Jack married the love of his life and best friend, Jeanette (Jean) Pliley in Oklahoma C ity. They would have celebrated their 66th anniversary on November 4th. He is survived by his wife, Jean, daughter Carol Melton (Raymond) of Peoria, AZ, son Raymond Lingo (Joan) of Surprise, AZ; relatives Linda Carroll (David) of Broken Arrow, OK, Jackie Lee Stawitz of Broken Arrow, OK, Elizabeth White of Morganton, NC, Jimmy Yount of Newcastle, OK, Joe Yount of Edmond, OK and Lynn Meredith (Maria) of University Park, FL.